It is probably of no secret that Python is one of the most popular programming languages in the world. It is evident not only in the number of people wanting and trying to learn it, but also from taking a single look at the current job market. And it’s no surprise, really – with the number of places and situations in which Python can be used, its popularity is only natural. One thing that keeps coming up in conversations about Python is the Python developer salary – how much do these people actually make? Well, if you’re interested in the topic, you’ve come to the right place! We’ll start off by talking about Python itself. Don’t worry, we won’t go into any detail – I’ll provide you with a very brief TL;DR on what a Python developer is and what he or she does. After that, we’ll talk about the main different groups of Python developers. Once we’ve got that out of the way, we will finally be able to take a look at the Python programmer salary. 4 More Than a Salary? To start things off, we need to figure out what do Python developers actually do – their responsibilities, tasks and so on. If you yourself are planning on becoming one, this will give you a pretty good idea of what to expect. Furthermore, you will be able to better understand why these people are paid a specific amount of their Python developer salary. Generally, Python developers are concerned with a few key tasks. First of all, they are the people responsible for the coding processes of a program or an app. They are also usually the main programmers of the company who deal with the processes of back-end development and integrations. To put it very simply, Python aids developers in programming the essential parts of a program or software. All that’s well and good, but why Python? Well, it is widely seen and accepted that Python is one of the easier programming languages to learn, especially if you’re just starting off. While this explains its popularity, it shouldn’t be something that devalues its use – Python is interactive, portable and object-oriented. All of these features are essential for a good and useful programming language – the fact that it’s also somewhat easy to learn and use (especially when you compare it with some other programming languages) is a nice added bonus. 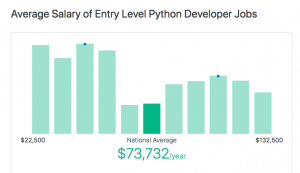 With all of that said, you should now have a better understanding of what a Python developer does to earn his or her Python programmer salary. With that said, let’s move on and talk about the main different groups of developers that there are. If you’ve ever worked a day job, you probably know that most of the jobs that you’ll encounter have certain specific tags. For example, if you come to work as a bartender, and it’s your first time working in a similar job, you will most likely be branded as an entry-level or junior bartender. It’s commonplace to apply these “tags” in most areas of work – Python development is no exception. As in most other jobs, there are three main experience groups of Python developers – entry-level, junior and advanced. All of these groups have very different motivations, tasks, responsibilities and – ultimately – salaries. This is why it’s important to talk about all of the groups before we actually start analyzing the Python developer salary. Once you get to know the three main groups, you’ll be able to see the reasons for their differences in pay. With that said, let’s jump into the very first group – entry-level Python programmers. University graduates (or Junior or Senior year students) that have just received their diploma and are actively looking to start their career paths as Python developers. Alternatively, if we’re talking about Junior or Senior year students, they might be looking for an entry-level developer’s job to gain university credit – spend a certain amount of hours working (practicing their skills) in a real company. People who have no formal higher education in the field of Python development, but have taken online courses, tutors or have learned Python in any other way and want to try their luck in scoring a programmer’s job. These people try to get an entry-level job so that they could practice what they have learned and show their employers that formal higher education isn’t absolutely necessary to earn a great entry-level Python programmer salary. As you will find referenced in other, similar articles, the junior category of IT-based jobs is probably the most difficult one to cover objectively – Python development is no exception. However, I will tell you why that’s the case a bit later on in this article when we’ll be talking about the junior Python developer salary. Now, let’s see what exactly defines a “junior” Python developer. Junior developers are those people who already have some (maybe 1-3 years – it varies) experience in the field of Python programming. They have, more or less, already decided that this is the career path for them – all that’s left to do now is to prove to both themselves and their employers that they are motivated to learn and keep on growing. Junior Python developers are commonly given some of the more experimental tasks within a company – these tasks are designed to both help the person improve his or her development skills, and to see how well he or she know the topic. 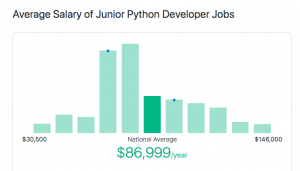 The junior Python developer salary is a tricky topic since it varies quite a lot. You would think that it would represent the perfect average of a Python programmer salary, but that’s rarely the case (not saying that it’s impossible, though!). The third group – senior Python developers – are among the most respected veterans of the industry. Senior programmers have dedicated their lives to the world of computer programming – and it shows, both in their work etiquette and their Python developer salary! Needless to say, senior programmers earn the most money out of all three of these groups. 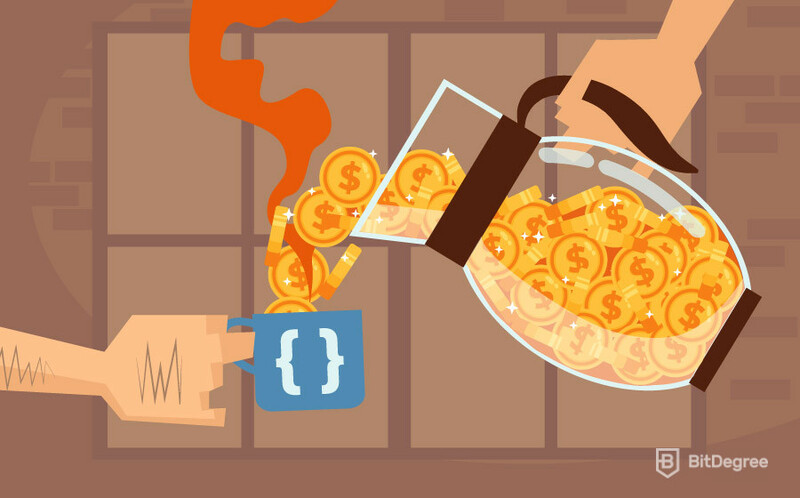 Their salaries are often referenced when people talk about just how much can a programmer earn. But keep in mind – that’s only one side of the coin! It’s easy to talk about money, but we have to keep in mind the amount (and quality!) of work that senior developers are tasked with. In addition to them having to deal with the most difficult of tasks, they are also often encouraged and assigned to teach industry newcomers all of the tropes. Having the biggest responsibilities in the team, it makes sense that their Python developer salary would represent it! Now that you’re familiar with all of the three main groups of Python developers, let’s talk about what we came here to talk about – the Python developer salary. We’ll start off with the entry-level salaries, and work our way from there. Entry-level (beginner) developers often have to work for either a small amount of money or even free of charge (if they are trying to get university credits). With that said, let’s take a look at what a “small amount of money” looks like in the world of Python development. Ziprecruiter.com estimates that an entry-level Python developer salary should range somewhere around the $73,700 USD annual mark (that’s $6141 USD per month). Talk about a small amount of money, huh? That’s almost double the average of what people earn in the US (assuming that the average US monthly salary is somewhere around $3700 USD)! If there is one thing that’s for sure, it is that qualified programmers and developers are crucially needed in the current job market – these figures represent that fact perfectly. As I’ve mentioned earlier in the article, the junior group of developers (and not only – this is true for most IT-based jobs) is really hard to analyze objectively. Now, why is that the case? The junior group is the middle one between entry-level and senior developers. Since there are no objectively defined boundaries that would separate the groups, there’s always an imbalance – at one point, the junior group ould consist of a majority of people who have just transitioned there from the entry-level group. At another point, it might be the opposite – the vast majority could be the almost-senior level developers. This is why the junior Python developer salary tends to fluctuate quite a lot. With that said, however, let’s take a look at what ZipRecruiter estimates the junior Python developer salary to be. The junior Python programmer salary comes out to be around $87,000 USD annually ($7250 USD monthly). That’s a great salary! Since it only differs from the beginner salary by $1000 USD, it is probably logical to think that the current job market has more beginner than senior developer employed. We have reached the very final group in our list – the senior Python developer salary. There’s probably no need for further introduction or explanations – let’s just go straight to the number. ZipRecruiter estimates that a senior Python developer salary should range somewhere around $123,000 USD ($10,250 USD per month). 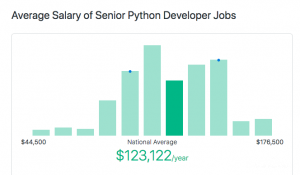 With this number in mind, it does kind of make sense why people both hype up and want to learn python programming – the salary is truly something to dream for! However, do remember – with a great salary, comes great responsibility (see what I did there?). It might seem like that’s a huge amount of money for someone working at the computer, but the reality couldn’t be further from the truth. Senior Python developers spend the bigger portions of their life learning everything there is to know about Python – it would only make sense that their salaries represent that. Now that we’ve got all of the numbers out of the way, there is a final point that I would like to cover. Many people, when they talk about the Python developer job, only mention the salary. This is a flawed way of viewing things, however. One should always keep in mind that a great entry-level Python developer salary isn’t the only thing that makes up a job! Python developers often work in awesome greenfield project-based companies (this is especially true for beginner and junior developers). This type of work is awesome because it offers a lot of room for creativity. You can bring forward your own ideas, discuss various strategies and learn & grow in a creative team-based environment. Furthermore, these types of jobs offer developers an opportunity to participate in various conferences, seminars, have paid holidays, birthday parties, etc. You can really feel like you’re valued and are not just another cog in an ever-churning corporate machine. So, to reiterate my point – a great senior, junior or entry-level Python developer salary is just one side of the coin. If you yourself are thinking about starting a Python developer’s career, it might be good to keep in mind the various other benefits that such a job can offer! As I’ve stated in the very beginning, Python is an extremely popular programming language to learn. As a matter of fact, it’s popularity is only growing further as the years go by. Being so popular, it is only natural that the job market will see a lot of competition – many developers with different skill levels compete to get the best job positions possible. On the flip side, companies need great and professional developers now more than ever before. This, in turn, leads to a competitive salary, awesome job benefits, and a perfect working and learning environment. With all of that said, I hope that this Python developer salary tutorial was useful to you. 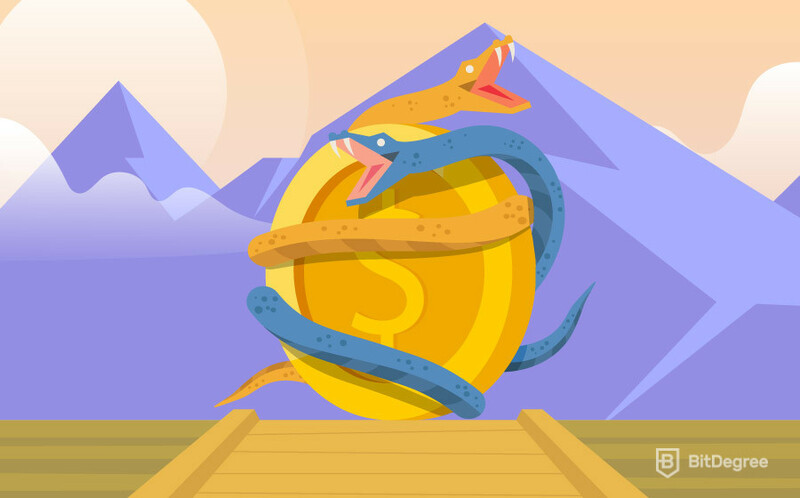 Whether you’re planning to start your journey towards Python programming or you’ve simply stumbled here out of curiosity – I hope the article answered all of your questions! If you’re learning Python already, then perhaps this guide has given you that little bit of extra motivation that you needed? Whatever the case might be, I wish you the best of luck!